The first trailer for I Think We're Alone Now has arrived online. We're getting to that point in the year where more and more movies that could be in the conversation for Oscar nominations next year are going to start popping up. As is usually the case, there are wildcard flicks that are sort of on the bubble. Maybe they'll break through for the awards season audience, maybe they won't. The first creepy and brief teaser for I Think We're Alone Now places it firmly in that arena. It's tough to get a handle on what's happening here, but it's intriguing. There's an apocalyptic event at play here and that leaves one man alone in his old town. Or at least he thinks that he's alone. "It got lonely when it was me and 1,600 other people in this town," says Peter Dinklage in some cryptic voiceover. There are some Twilight Zone vibes going on here and the footage is very slow-burning. It's much more atmospheric than anything. We don't actually get a huge sense of the story going on, but since everyone is gone and since Peter Dinklage is one of only two people left in this town, it's hard not to at least be a little bit curious about what's going on. The trailer did not make use of the Tiffany song for which the movie is named. 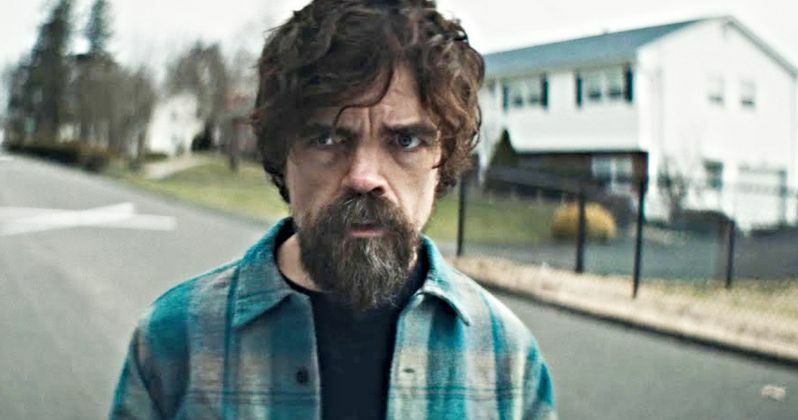 In I Think We're Alone Now, Del (Peter Dinklage) is alone in the world. After the human race is wiped out, he lives in his small, empty town, content in his solitude and the utopia he's methodically created for himself, until he is discovered by Grace (Elle Fanning), an interloper whose history and motives are obscure. Worse yet, she wants to stay. A visceral psychological journey, the film explores human behavior and the undeniable need for companionship. The movie is directed by Emmy winner Reed Morano, who has received a great deal of acclaim for her work on the small screen. Specifically on Hulu's The Handmaid's Tale. She directs from a screenplay by Mike Makow. As it stands, Elle Fanning and Peter Dinklage are the only two cast members listed. So it looks like this is very much going to be a showcase of their talents and they're going to have to carry this thing on their shoulders entirely. Following its premiere at Sundance, the sci-fi drama took home a Special Jury Award for Excellence in Filmmaking. Peter Dinklage is known best for his role on Game of Thrones, but he also starred in Avengers: Infinity War earlier this year. Elle Fanning is currently in production on Maleficent 2 and has the drama Galveston also slated for release later this year. I Think We're Alone Now is set to arrive in theaters on September 21. You can check out the first trailer, courtesy of the Momentun Pictures YouTube channel, for yourself below.